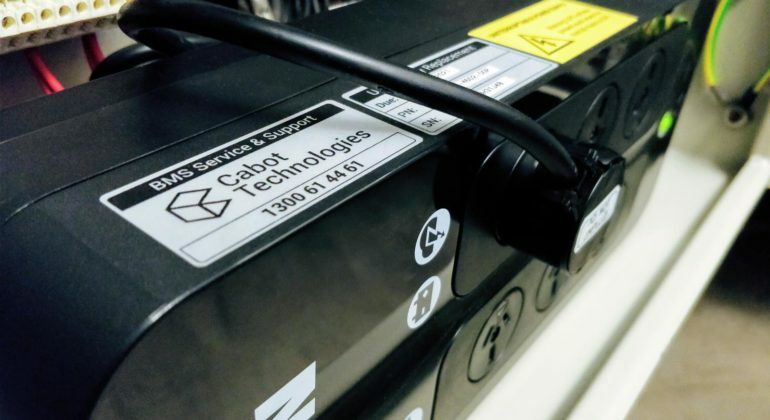 An Uninterruptible Power Supply (UPS) is a battery powered device that provides backup power and protection during mains power outages, dips, and spikes. UPSs have been around for a while and often used in large installations to provide a smooth transition from mains power to diesel generator power in critical systems. For example hospitals and data-centres. Over the last decade, we have seen an increase in BMS hardware complexity, including more reliance on sensitive electronics and higher-level operating systems. The vast majority of BMS controllers now resemble a PC more than a simple thermostat. This has increased their susceptibility to power issues and interference. It’s also made repairing faulty controllers less feasible for manufacturers who now generally opt for new hardware replacement instead of custom repair. Fortunately, another change over the last decade has been the influx of compact and affordable UPSs. They are a practical way to protect BMS hardware and small enough to install in BMS panels, new and existing. UPSs are also easy to test and maintain during the usual scheduled BMS service. Power dips, brown-out, and damaging spikes are filtered by the UPS so they don’t damage BMS hardware. Controller hardware and network switches can selectively remain powered during mains power outage. Alarms and remote alerts remain active. Reduction in BMS hardware failure and call-outs. A UPS is a preventative measure that will save costs long-term. There is very little additional maintenance required during service. Internal batteries last 3 years. Installing a UPS in a BMS panel is very affordable and often pays for itself within it’s first year by preventing call-outs and replacement hardware. We can assess the power load of your BMS panels, provide UPS installation, and long-term battery replacement service. Drop us a line and see how we can help.